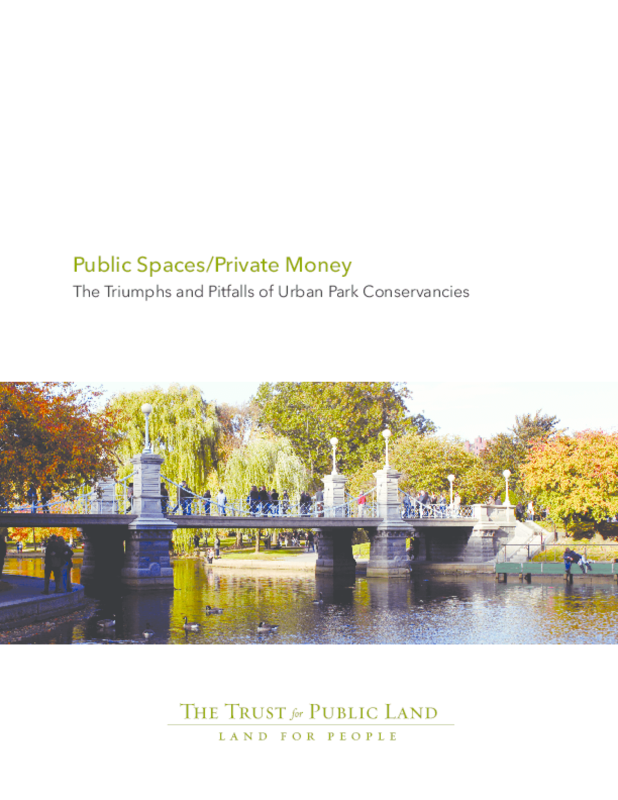 This study explores city park conservancies -- private organizations that utilize donations to rebuild, refurbish, and even maintain some of their most iconic parks. The study uses examples and experiences from 41 organizations across the country that have a collective experience record of nearly 750 years. Copyright 2015 The Trust for Public Land.